Andrews: Trump or Clinton will be President. Here’s how to decide who to vote for. My name is Andy Andrews. I am a husband and a father. I have written several books, a couple of which have been moderately successful. In a national discussion of celebrity, money, or power, however, I would not be mentioned. My family and friends love me though, and in Alabama, where I was born, I like to believe there are those who are happy that I still live here. As for my books, they seem to defy conventional literary description and are most often characterized as “stories of common sense.” That’s fine with me. In fact, it’s exactly what I was after all along. Through the years, for whatever reason, I decided to make “common sense” my personal quest. The most important part of that quest, I determined, would be to somehow develop the ability to harness common sense for the benefit of other people. Specifically, I prayed to learn how to take complicated subjects that were confusing people and explain to them the “bottom line truth” in a simple, understandable fashion. I wanted to be able to do this in order that they might utilize that understanding in ways that would make their lives better—that would prosper them and their families. First, allow me to say that I am not an admirer of either candidate. I never have been. My wife and I have two teenaged sons and, like you, we are aware that manners and good behavior are a reflection of character. That said, it is ironic that many of us now find ourselves in the position of choosing a president of the United States whose conduct we would not tolerate in our own family. But choose we must, for this is the first election in our lifetimes that has virtually nothing to do with the “personality” who will serve as our president. This election is about the Supreme Court. This time, forget everything else. Forget crimes that may have been committed. Forget any alleged sexual assault. Forget the possibility of treasonous acts, adultery, fraud, vindictiveness, and mean or childish behavior. Think only of the Supreme Court. For the first time in your life, you really are about to determine what this country will be like for the rest of your life. This is true, also, for the lives of your children and your children’s children. As a people, we have not had a choice before us with more power to heal or destroy since the civil war. The United States of America is clearly about to move down one of two roads. No rhetoric can disguise either path. And once the Supreme Court is in place, no Congress or Senate can change that path. 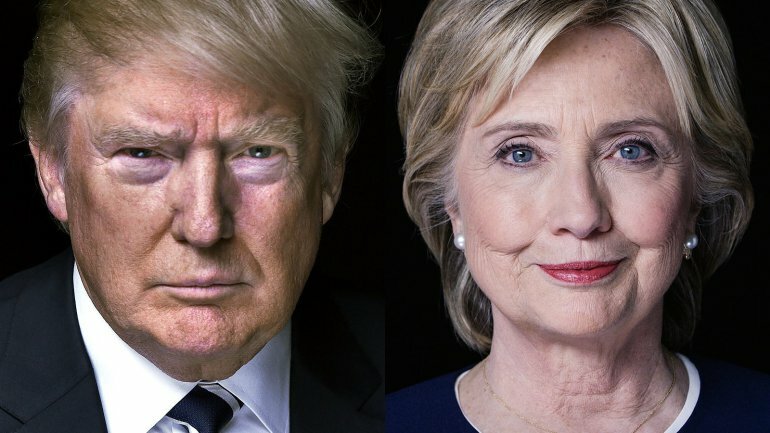 This coming Tuesday, November 8, 2016, you and I will choose which of two people will become president. Soon after being inaugurated, that person will begin the process of selecting the person who will fill the vacant seat on the Supreme Court—the one who will tip the scales one way or the other. Laws will be upheld or overturned. New laws will be imposed or not. In either case, the way you are allowed to live will soon be determined by the Supreme Court. The court’s majority will be determined by the new president. But one thing is certain: after Tuesday, you will have no more say in the matter. Lest you think this might be a temporary situation, able to be shifted or redone by the next president, it is critical to understand that whichever of the two major candidates we elect this Tuesday will be the person who will set the Supreme Court in stone for generations. The person we elect this Tuesday will not be making one Supreme Court appointment, but perhaps as many as four! Considering possible retirements and death, look at the court’s current makeup: The vacant seat is that of Justice Scalia who recently died at the age of 79. Of the eight justices that remain, five—Roberts, Thomas, Alito, Sotomayor, and Kagan—are under the age of 70. The rest are far older. Justice Breyer is 78, Justice Kennedy is 80, and Justice Ginsburg is 83 and has been treated for pancreatic cancer. The court has voted 5-4 on crucial decisions for years. The swing vote (Scalia) died. The person we elect as president this Tuesday will appoint Scalia’s replacement—the new swing vote. Pay Close Attention: During the next four years of the president’s term, he or she will likely appoint a second Supreme Court justice. The votes on crucial decisions will then be decided by a vote of 6-3. The opportunity to appoint a third and even a fourth justice to the court will allow whomever we elect on Tuesday the ability to cement the Supreme Court’s voting—think 7-2 or imagine 8-1—for as long as you live. First, be aware that there is no possibility of a third party winning this election. None. Therefore, a vote for a third party candidate is a wasted vote. “But I am voting my conscience,” you say. Fine. Just remember that it will be your body (not your conscience) and your children who will live in the world our Supreme Court is about to create. Forever. Do you want a say in what that world will be like? I’m sorry, but there are only two choices. Him or her. Yes, I understand. You are furious at being put in a position to have to choose between the “lesser of two evils.” I do understand. It is infuriating. On the other hand, you must understand that “the lesser of two evils” is the only choice you’ve ever had in any election in which you’ve ever voted in your life! Jesus has never run for office. That leaves only the rest of us—you and me—well-meaning, good-hearted people who, despite our best intentions, have still managed to lie, cheat, and say things out loud for which we remain grateful to this day that no one recorded during what we thought was a private conversation. It is time to put away our self-righteousness. It is time to wake up and understand that we have no ability—zero—to make either candidate feel our contempt with our vote. Even if we did, they would not care! ONE OF THESE TWO PEOPLE WILL BE THE NEXT PRESIDENT. Neither you nor I will change that fact by voting for someone else or by not voting at all. The only way you can possibly vote this time and have it matter is to vote for the America in which you wish to live. That America will be defined by the Supreme Court justices chosen by one of the two major candidates. For once in our lives, whatever “President” we have to watch on television for the next four years doesn’t matter. We have all suffered through four or eight years of one presidential face or another and, this time, we will do it again. That face will not matter. In the long run, that person’s name will not matter. ONLY THE JUSTICES THAT PERSON CHOOSES FOR THE SUPREME COURT MATTERS! Remember that whoever the president of the United States is…whoever the president might ever be—despite the amount of television time they get, no matter the round office and forget the cool plane—that person’s actual power, his or her ability to truly affect your day-to- day life, is extremely limited. Congress, Senate, the will of the people, the approval of the media…all are very real factors that prey upon a president’s ability to do as he or she wishes. The Supreme Court, on the other hand, is under no such constraints. Once appointed, there is virtually no oversight or even influence that can be brought to bear. The media? Polls? Voters? There is no quarterly review, no coming election. A Supreme Court justice is appointed for life. His or her word is, quite literally, the law. These are the big laws, the ones that determine your daily life. Both major candidates have announced exactly the kind of justices they will choose for the Supreme Court if elected. One candidate has even listed the names of the judges from which the choice will be made. Your choice will be plain to see and easy to make. Again, your choice is not about a person. In the most literal sense, your choice is about the America in which you wish to live. Knowing there are many issues that will be determined by the Supreme Court, let’s quickly examine only a few. From here, you will easily understand the direction you wish to take. Do you believe that guns are inherently bad? Do you believe that there are too many guns, that gun manufacturers should be held responsible for what individuals do with them, and that the government needs to further restrict the public’s right to own and use guns? If so, you must vote for her. She has publicly promised to appoint judges that will make these beliefs the basis for laws by which we all will live for the rest of our lives. Or do you believe strongly in the “right to bear arms”? Do you believe that further gun restrictions will only restrict the access honest citizens have to firearms and ammunition? Do you believe that a gun—while dangerous—is a tool like a car and that when used incorrectly, it is the fault of a person, not the fault of the tool? If so, you must vote for him. He has publicly promised to appoint judges that will make laws according to this line of thinking. At that point, we will live with those laws for the rest of our lives. And this Second Amendment issue will be determined by the Supreme Court. Do you believe that the fetus inside a pregnant woman is a tissue mass and that a woman should be able to rid her body of that tissue mass at any time during the nine months prior to that tissue mass being born? Do you believe that tissue mass only becomes a human being once it is outside the woman’s body? Do you believe that your tax dollars should be used to allow anyone who chooses, for whatever reason, to rid their body of that tissue mass? Do you believe that counseling centers, funded by churches, set up for the purpose of encouraging adoption should be forced by law to offer abortion counseling as an alternative? If so, you must vote for her. She has publicly promised to appoint judges that will enforce these beliefs into laws by which you and I must live for the rest of our lives. Or do you believe that the baby inside a mother is a human being? Do you believe that life has a purpose and that, from the moment of conception, each and every child is unique and valuable? Do you believe that you should not be forced to fund Planned Parenthood—the largest abortion provider in America—with your tax dollars? Do you believe more than 50 million government-approved abortions in the United States since 1970 are enough? If so, you must vote for him. He has publicly promised to appoint judges that will reduce, restrict, and eventually do away with abortion on demand and what you believe will be made into laws by which you and I will live for the rest of our lives. And this abortion issue will be determined by the Supreme Court. Do you believe the United States should move toward a policy of “open borders”? Do you believe undocumented persons in the United States illegally should not only be allowed to stay, but issued driver’s licenses, food stamps, and provided medical care? Do you believe that if someone wishes to enter our country, they have every right to do so without explanation? If so, you must vote for her, for she has publicly promised to appoint judges that will reverse laws currently on the books regarding immigration. These laws will eventually lead to her stated “dream of open borders” and a new way of life for us all. Or do you believe that America’s borders are her first line of defense? Do you believe that the word “illegal” means just that? Do you believe that only legally recognized citizens of America have a right to her benefits and protection as provided by your tax dollars? Do you believe America has not only the right, but the responsibility to carefully vet those who seek to enter our country? If so, you must vote for him, for he has publicly promised to appoint judges that will make and defend laws in line with those beliefs. Do you believe the government is more capable of determining how your money should be used? Do you believe the government is better able to determine how your children should be educated? Do you believe the government should determine who can do business where and with whom? Do you believe a person should be given priority because of what they believe, what they are, or what they believe they are? If so, you must vote for her, for she has publicly promised to appoint judges who will open our borders, our bathrooms, and our wallets. She has promised laws to punish those who do not agree. Or do you believe you can decide what’s best for your family? Do you believe that if you earn a certain amount of money you should be able to keep and reinvest the largest part of it to benefit those things you decide are important? Do you believe the government has been created to serve the people, not the other way around? If so, you must vote for him, for he has publicly promised to appoint judges whose rulings allow prosperity for those who work to deserve it. These are but a few examples of the two pathways you will choose this Tuesday, November 8, 2016. Religious freedom, taxes and the economy, healthcare…in every category you examine, you’ll find drastic differences in the America that will be shaped by this election. Don’t be fooled—how you vote matters, because the Supreme Court matters. So what kind of America will we have for the rest of our lives? This time, you actually get to choose.